Remember to remain a subscriber for a chance to win our FREE PRIZE DRAW next month! The lucky winner will be announced in our July Newsletter. It could be you! 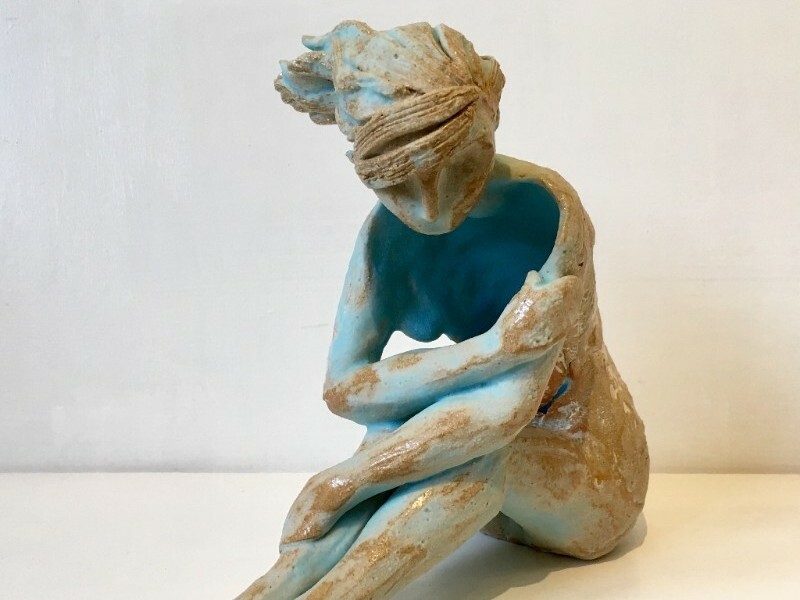 Faye Mayo continues to captivate with her sculpture, in earthy clays and fresh blue glazes. 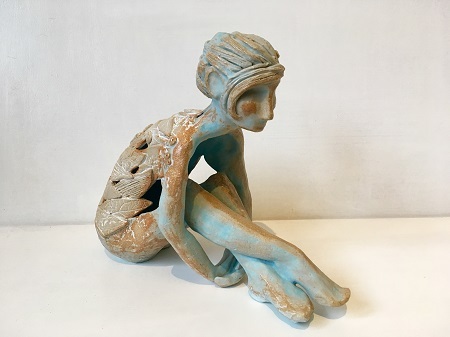 Her new work this month includes many beautiful pearly bowls and dishes, but the centrepiece is her sculptural "Treasures in Jars of Clay" built carefully, layering individually cut and textured pieces of clay into a breathtaking bodice. 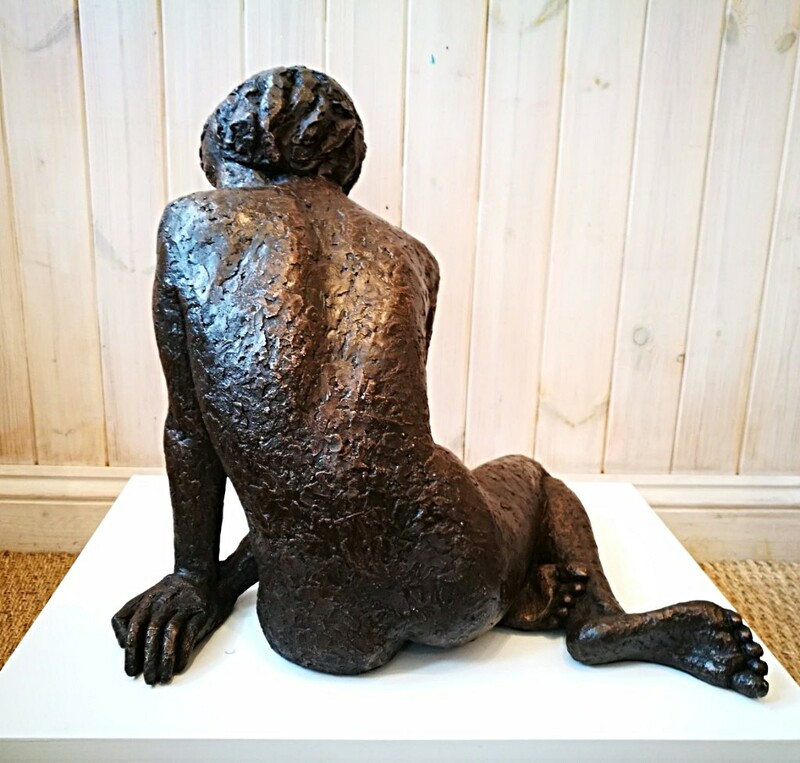 A beautiful copper & bronze resin cast figure that can be placed both indoors or out, finished in the very distinctive texture that has now become the artists signature surface and that is present in all her later works. A piece with superb detail and proportions in a very intricate pose, beautiful from every angle. A new range of original oils by David Chambers are now on display at the gallery and on our website. Prices start from £295 framed. Aaminah Snowdon & Rebecca Campbell have informed us that the Limited Editions below have now reached the end of their print run. However, we have a limited number still available so please get in touch soon if you are interested. 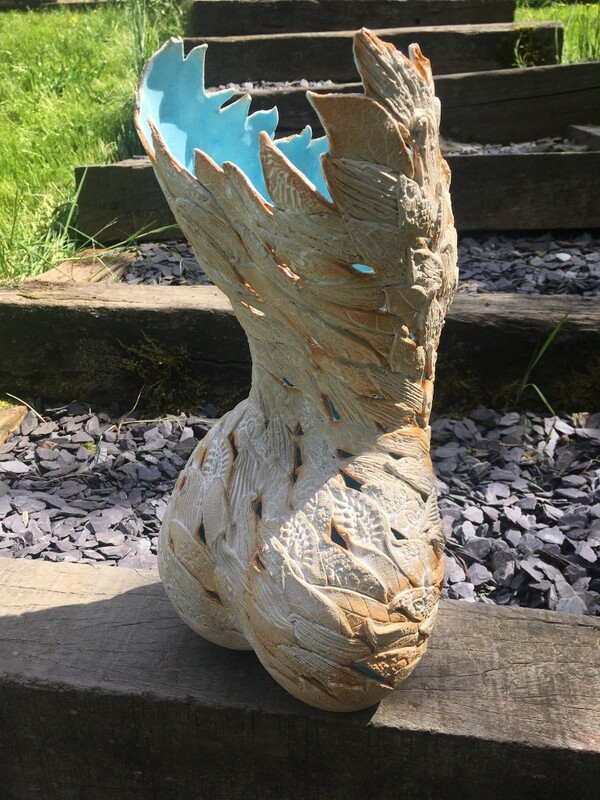 More on "The Garden Club"
After the arrival of three rare Annie Drew originals, we are pleased to announce that the "Long Eared Owl" was sold soon after the launch. And with increasing interest in the other two pieces available, we foresee a prompt sale. 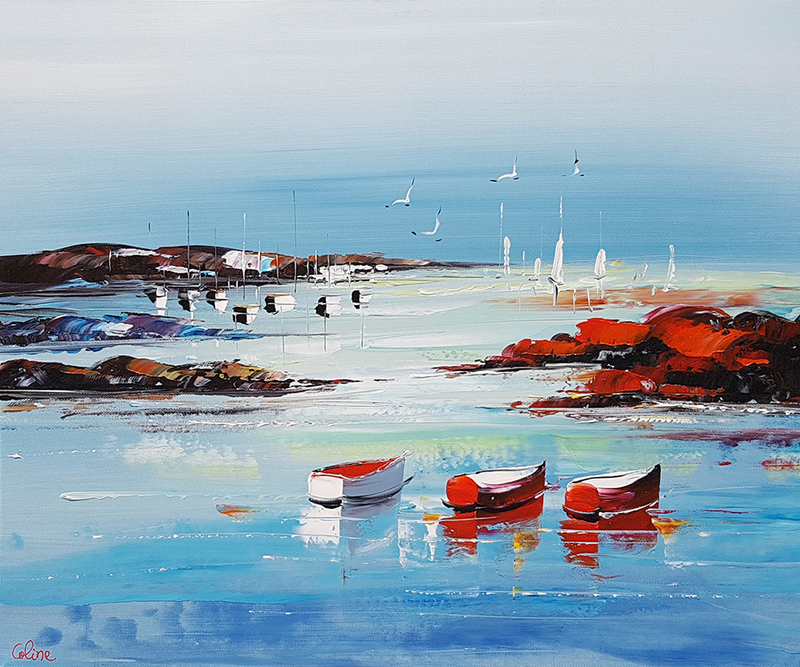 After the amazing success of Annie's latest painting, "Kingfisher", White Sails have been given the rare and exciting opportunity to sell three of her earlier works on behalf of a private collector. Each picture is from a different stage of Annie's development as a highly accomplished and collectable artist. 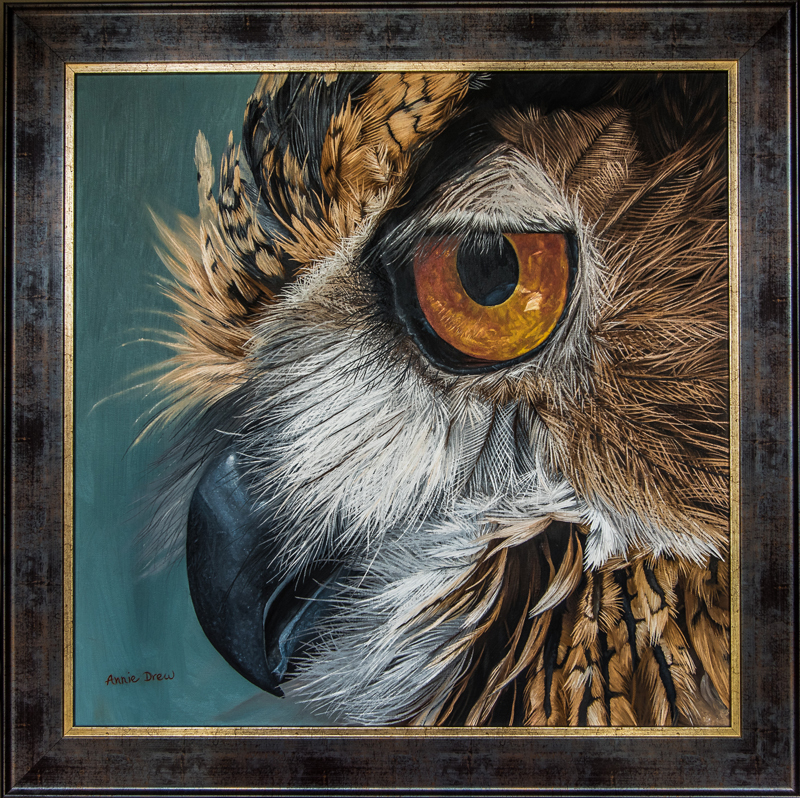 The Long-Eared Owl was only her 2nd ever professional painting and already exhibits a stunning vibrancy and detail in the delicate plumage. 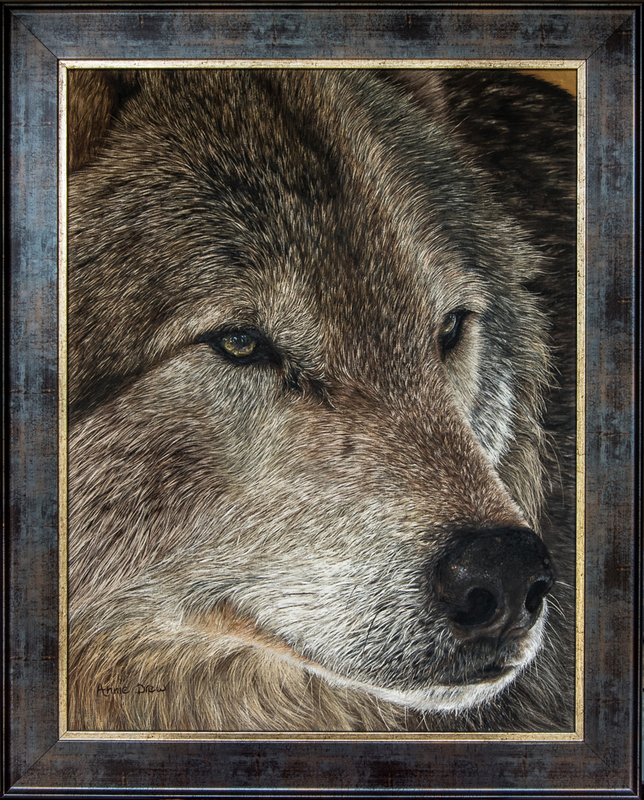 The Wolf is a beautifully moody piece, displaying the stillness and incredible texture in the coat for which Annie is so renowned. 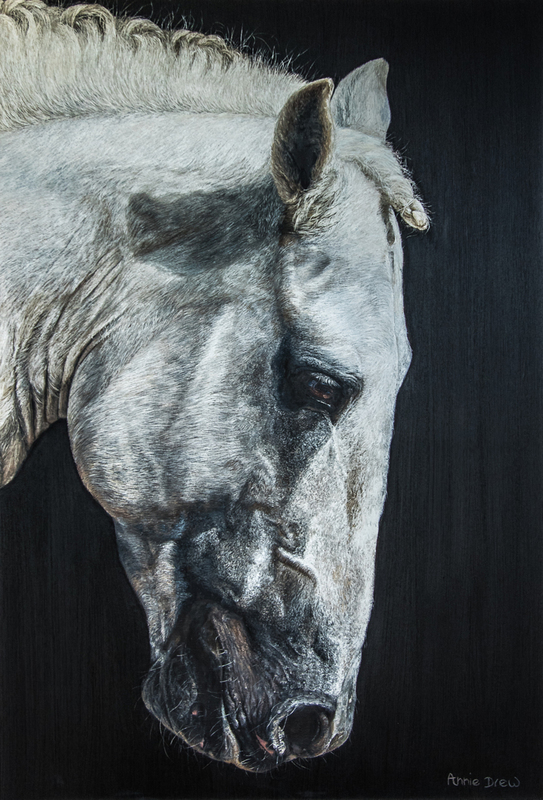 Finally, the Lipizzaner was one of her most successful early Ltd Editions, admired by many as a striking equine study of stillness and solitude. The details of each painting are below. 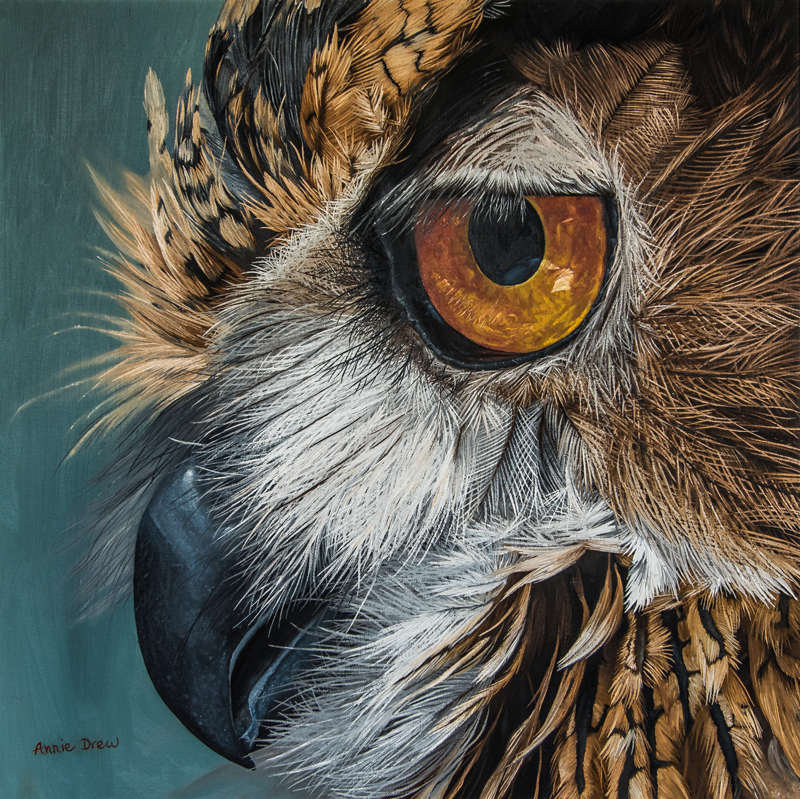 Still only 27, Annie's reputation as a hugely talented up-and-coming wildlife artist is attracting the eye of many new collectors across the country and the value of her work continues to rise with every new release. 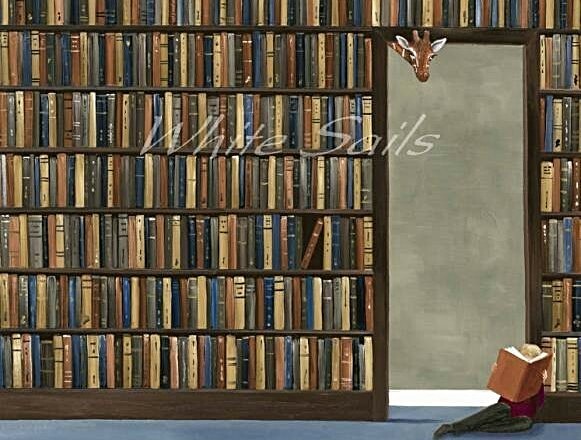 This is a fabulous opportunity to make a rare purchase of one or several of her paintings and, as always with Annie's work, we do not expect any of these three pictures to be with us here at White Sails for very long. 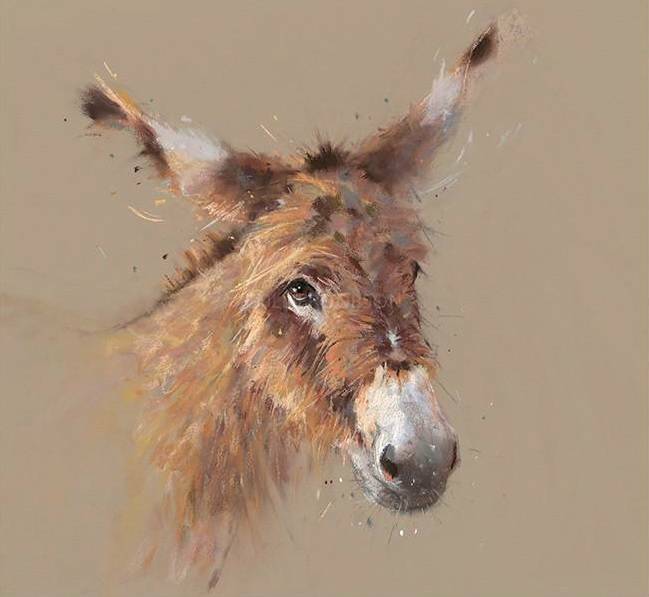 If you would like any further information, wish to view the paintings or discuss a purchase, please contact us here at the gallery or follow the links below to our website. Remember to remain a subscriber for a chance to win our giveaway. 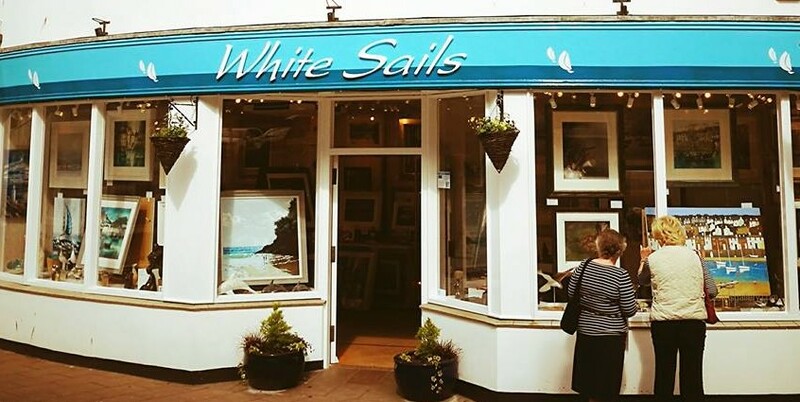 As a thank you for your loyalty to White Sails, we are giving you 3 chances every year to win a voucher for £100 to spend in the gallery or on our website. The draws will take place every 4 months on the 1st March, July and November and the lucky subscriber each time will be announced in that month's newsletter. So just carry on subscribing to be updated with our latest news and for a chance to win! 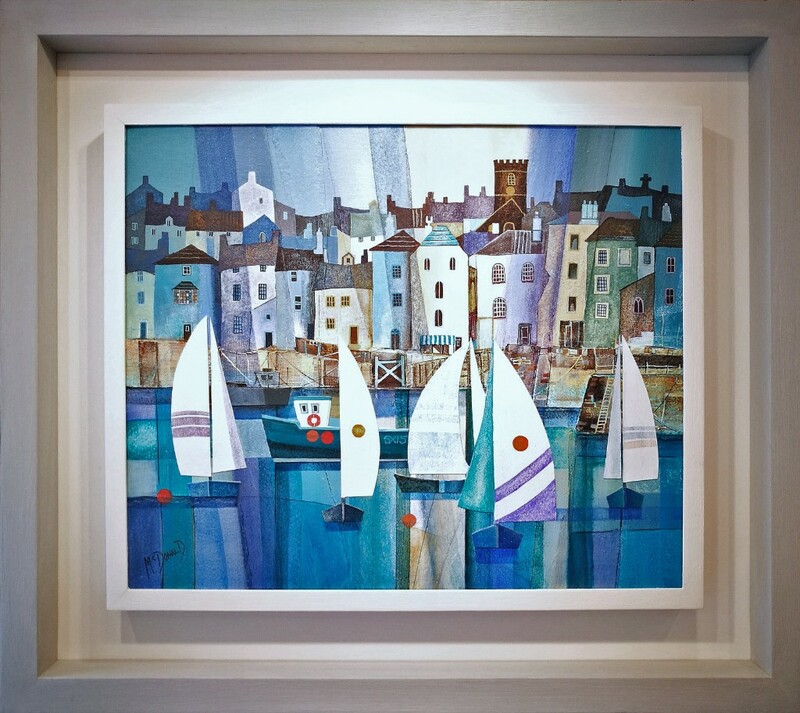 Following the success of Paul Dolman's prints at White Sails Gallery, we are proud to anounce the arrival of a collection of originals by the artist. 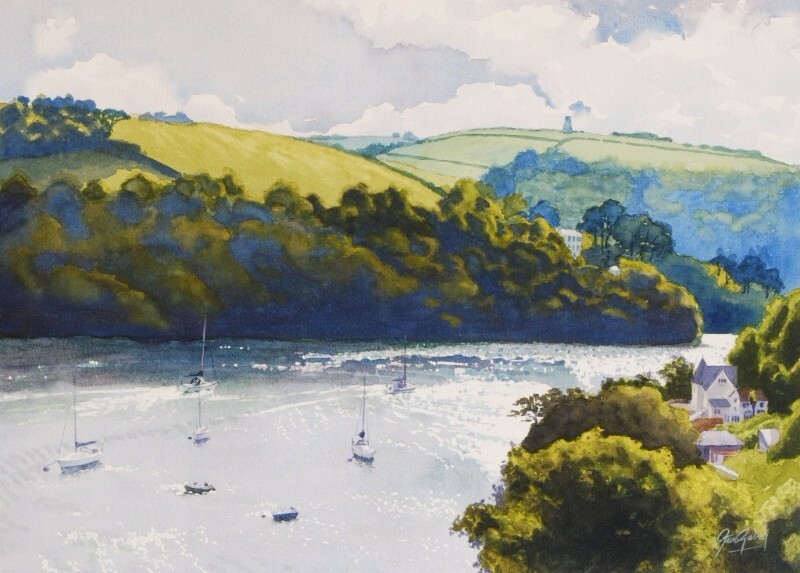 Painted in his signature style, they are highly accomplished pieces featuring landscapes from all across the South West of England. See them for yourself at the Gallery, where you can find then now on display. After a break of five years in her career, Gillian McDonald has returned to the Art Scene with momentum. Among rising interest and after only three weeks since the arrival of four of her brand new originals, only two remain for sale. 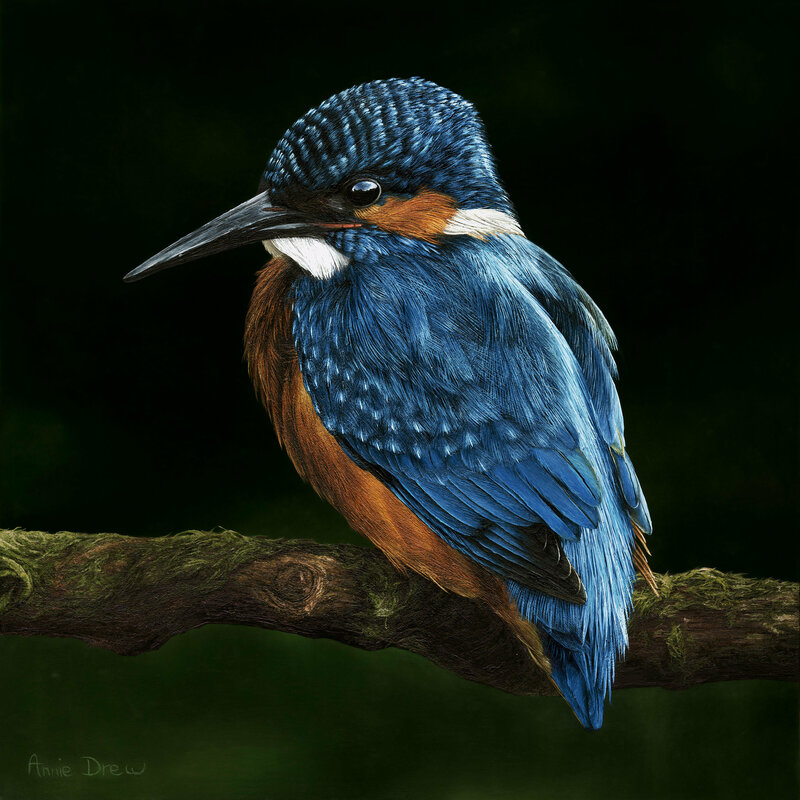 Last month, in conjunction with Annie Drew's new original painting, the Kingfisher, a matching collection of Limited Edition Prints was also released. 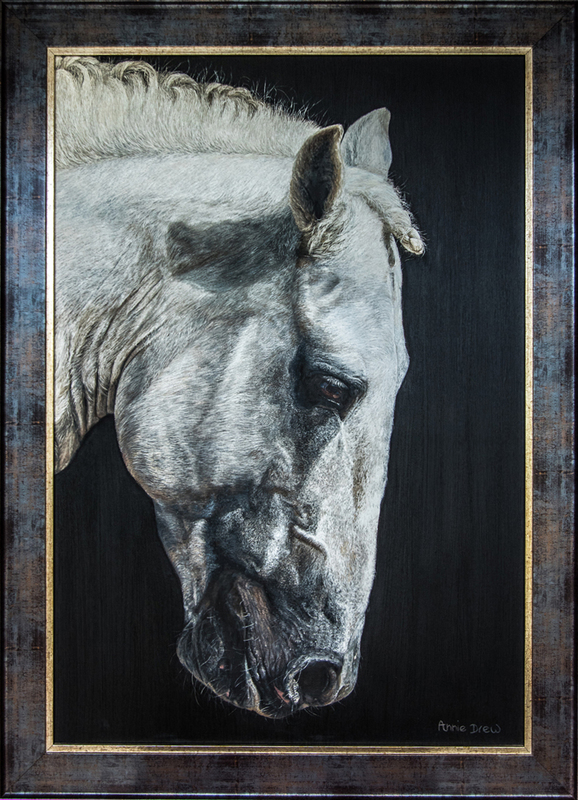 The original has now sold and will be on display in the gallery window for a limited time, pending collection, and the Limited Edition Prints have proven equally popular with steady sales. 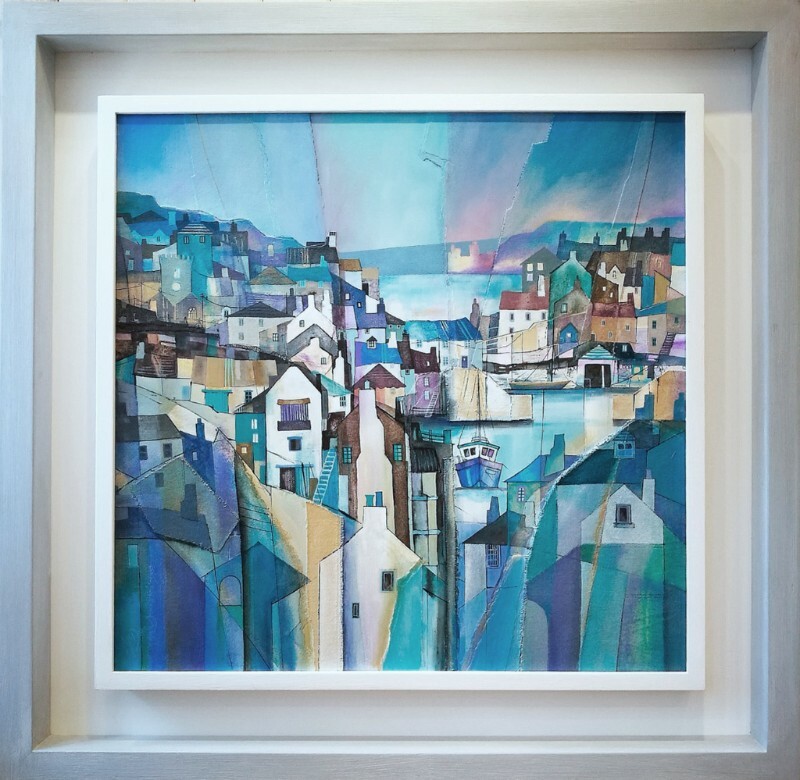 After a hiatus of 5 years since her first exhibition with us here at White Sails, we are very proud to announce the arrival of four brand new, mixed media originals at the gallery, by Gillian McDonald. 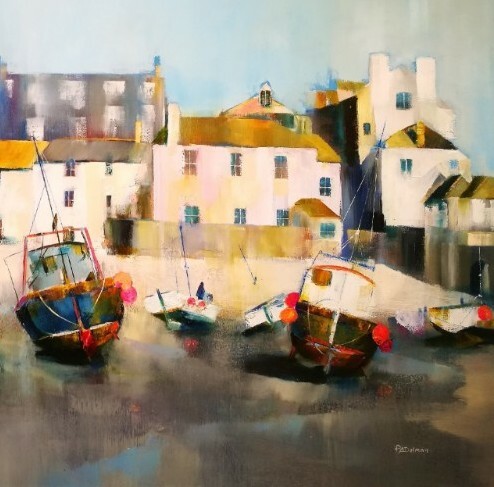 Gillian is a highly acclaimed landscape artist who has developed her distinctive style and highly-collectable portfolio during a professional career of more than 30 years. In 1986 she met influential artist John Blockley who became a mentor, friend and key influence. Along with other notable artists such as Martin Proctor and Michael Morgan she painted with him as part of the "Blockley School" until his death in 2002. 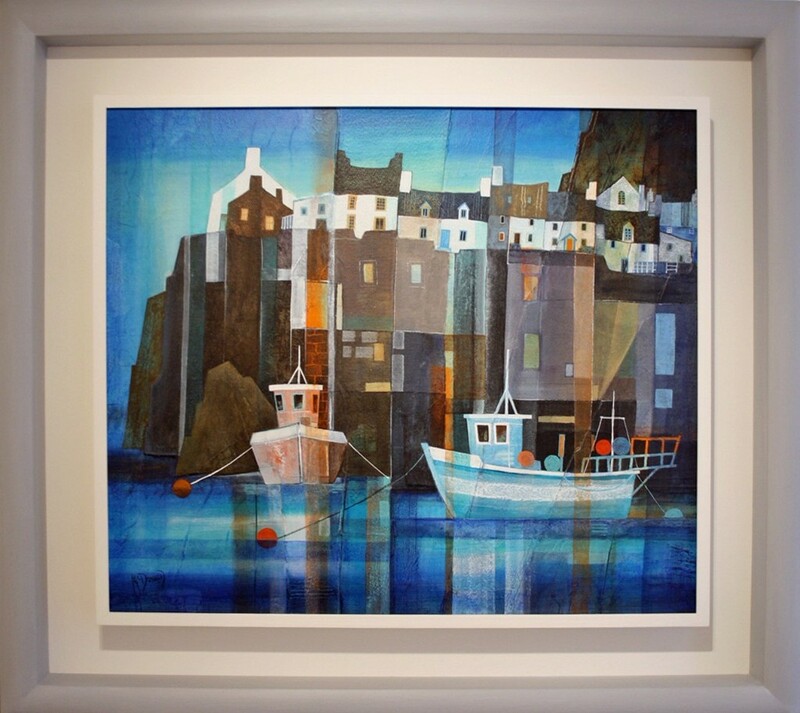 Originally a watercolourist, Gillian works increasingly with collage, mixed media and texture. 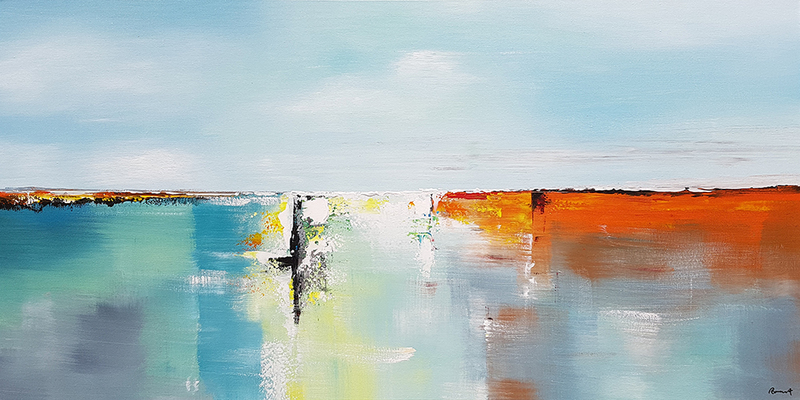 But her goal has always been to reveal the ever changing contrasts of light and colour in the dramatic landscapes that inspire these paintings. Her artistry is rich in romance, drama and atmosphere. It often evokes isolation and solitude, and coupled with her bold use of colour, these are the hallmarks of her highly sought after work. 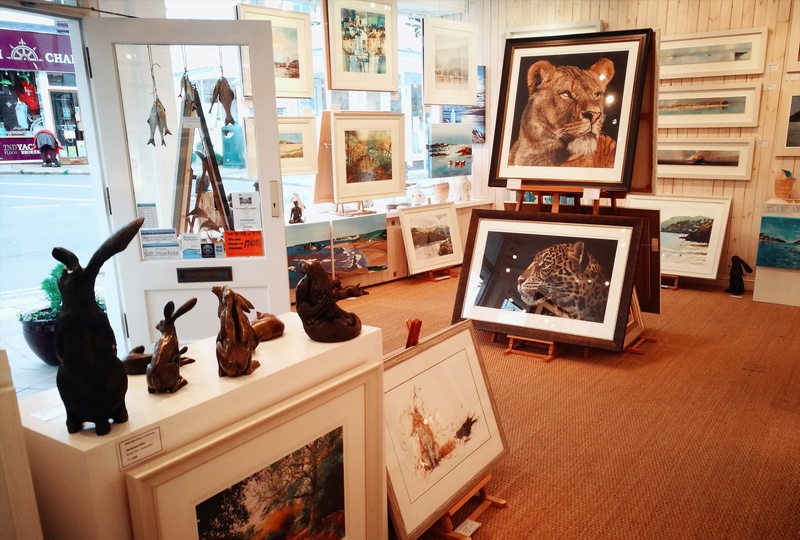 We hope you will have a chance to come and see these breathtaking paintings in the flesh, but in the meantime, if you would like any further information or wish to discuss a purchase, please contact us here at the gallery or follow the links below to our website. We are very excited to be launching our first monthly newsletter. To celebrate this and to thank you for your loyalty to White Sails, we will be giving you 3 chances every year to win a voucher for £100, to spend in the gallery or on our website. The draws will take place every 4 months on the 1st March, July and November and the lucky subscriber each time will be announced in that month's newsletter. So just carry on subscribing to be updated with our latest news and for a chance to win! 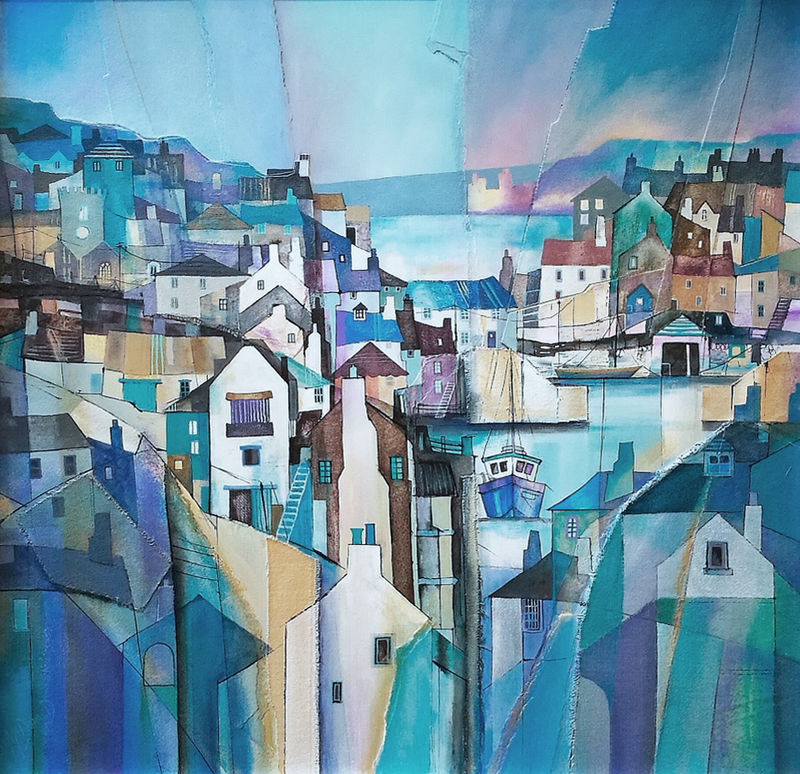 We are proud to present our newly arrived Limited Edition Prints by Westcountry artist Paul Dolman. 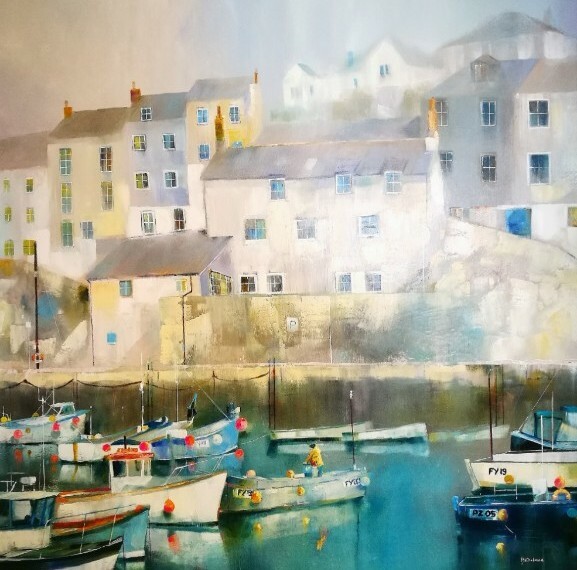 Based near Bournemouth, Paul Dolman has enjoyed a very successful painting career so far. 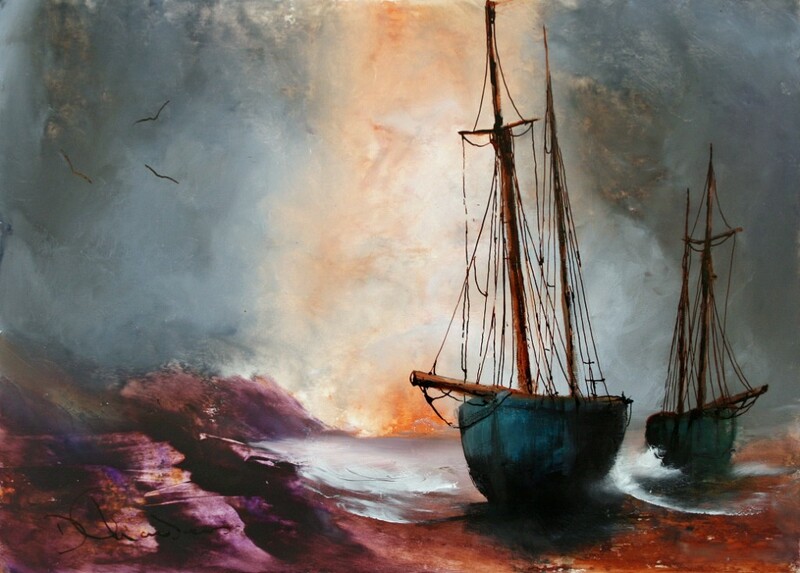 Working mostly oils and mixed media, he creates wonderfully atmospheric and vivid landscapes full of life and drama both in his studio and on location. 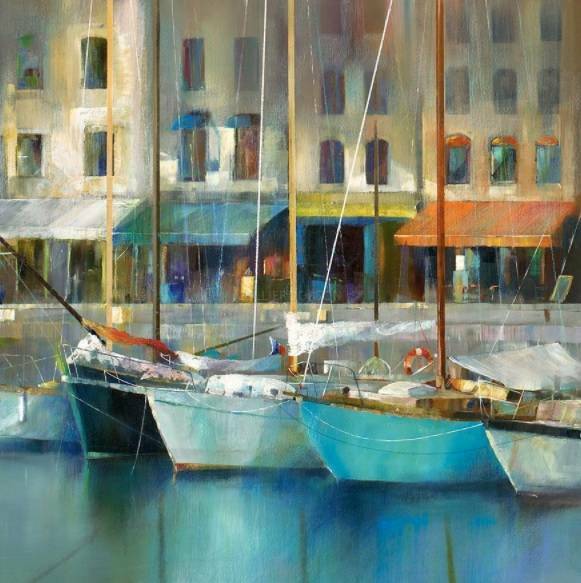 Paul has achieved international recognition for quality, clarity, dramatic light and atmosphere in his work, which now hangs in locations as far afield as New York, Nantucket, Australia and New Zealand to name but a few. We are also excited about these new arrivals. 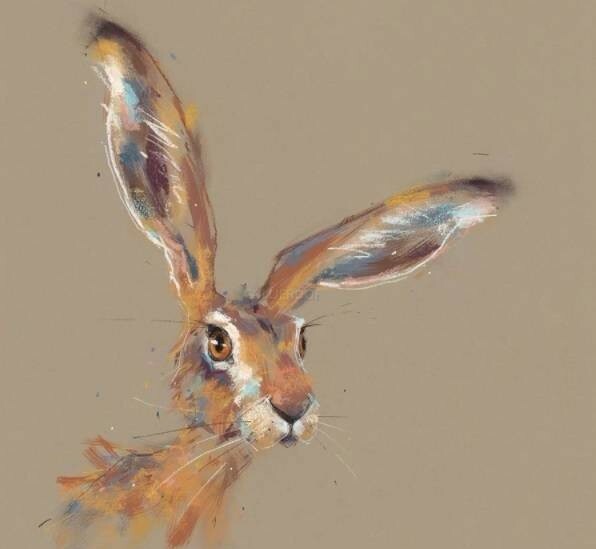 With lively use of line and colour Nicky produces delightful contemporary wildlife portraits full of character and charm. 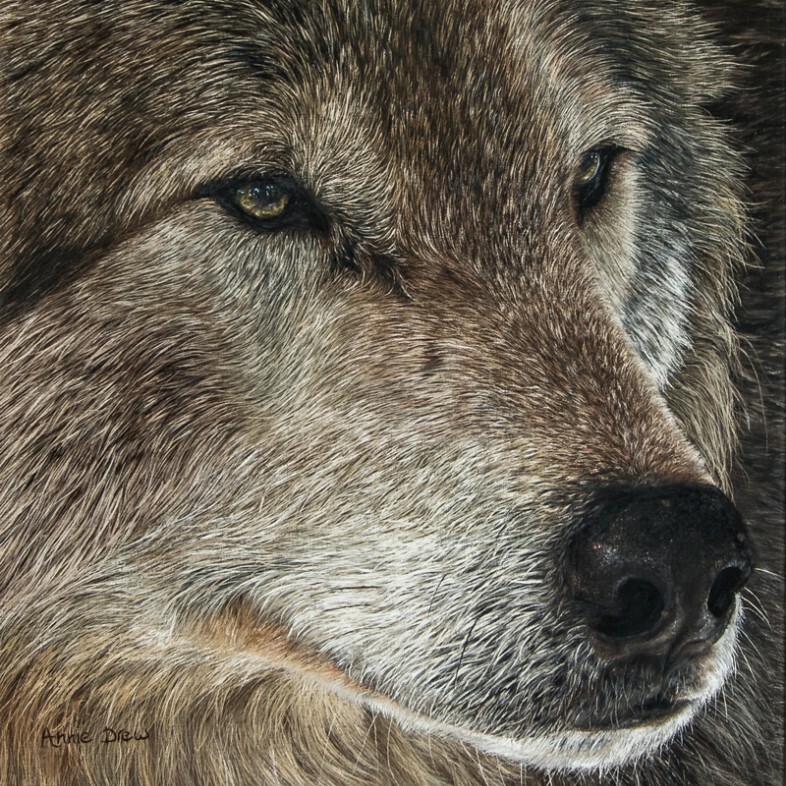 Her traditional subject matter is hares, foxes and other animals, which she creates mainly in pastel. 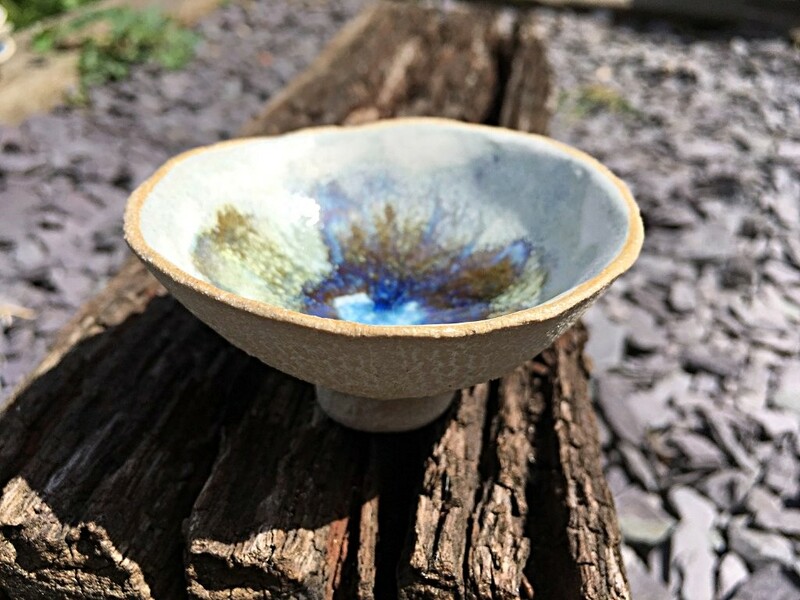 Have a look at her full range of Ltd Editions on our website through the link below. New David Chambers original oils are now available. 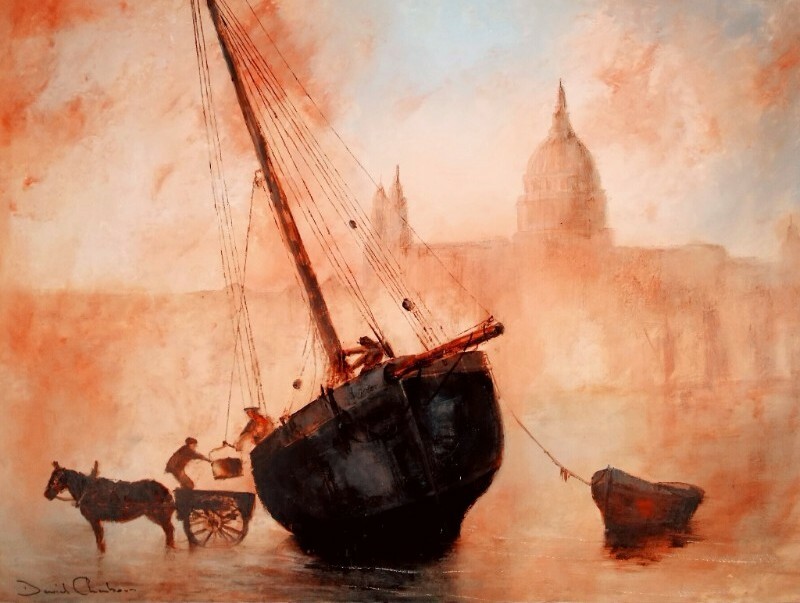 Below A: "Readying for the Tide II"
£495 Unframed - 615 x 470mm. 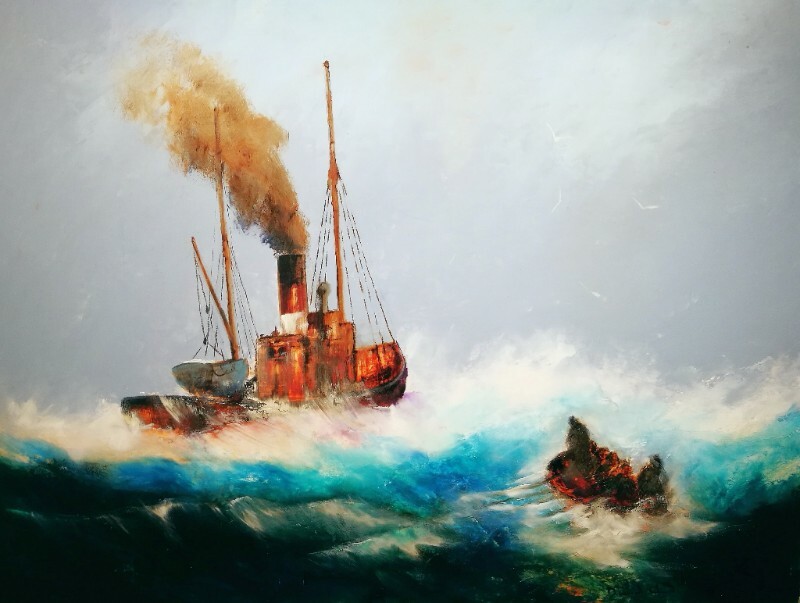 Below B: "Rescue at Hand"
New Stephen Gedney original watercolours available. 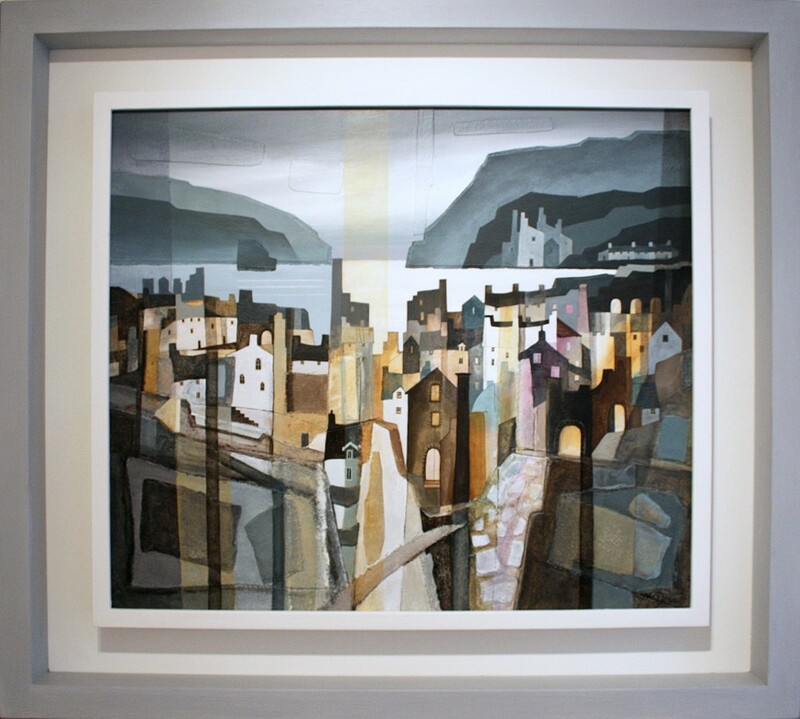 Below A: "Out Past the Gunfield"
£595 Framed - 735 x 600mm. 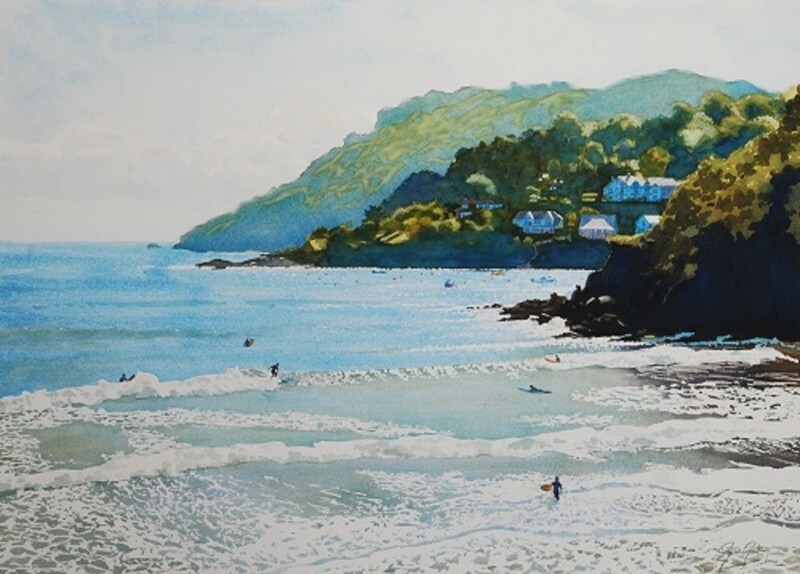 Below B: "Surfing off North Sands"
£995 Framed - 935 x 735mm. 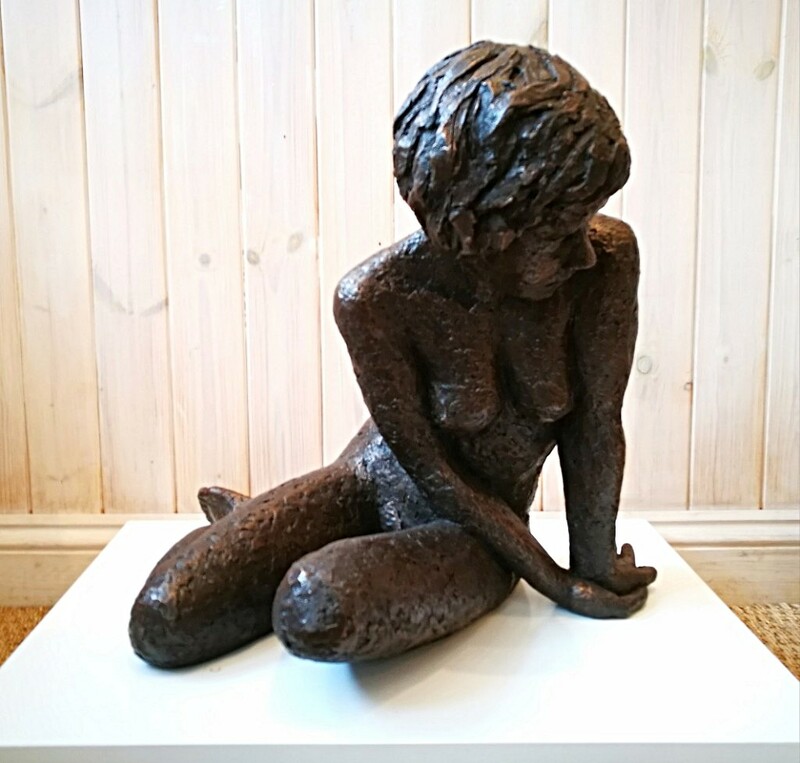 Faye's most popular sculptures are back! These two "Contemplation Figures" are now available to buy at the gallery or online. £255 - Size: 210 x 100 x 230mm. £320 - Size: 210 x 100 x 250mm. 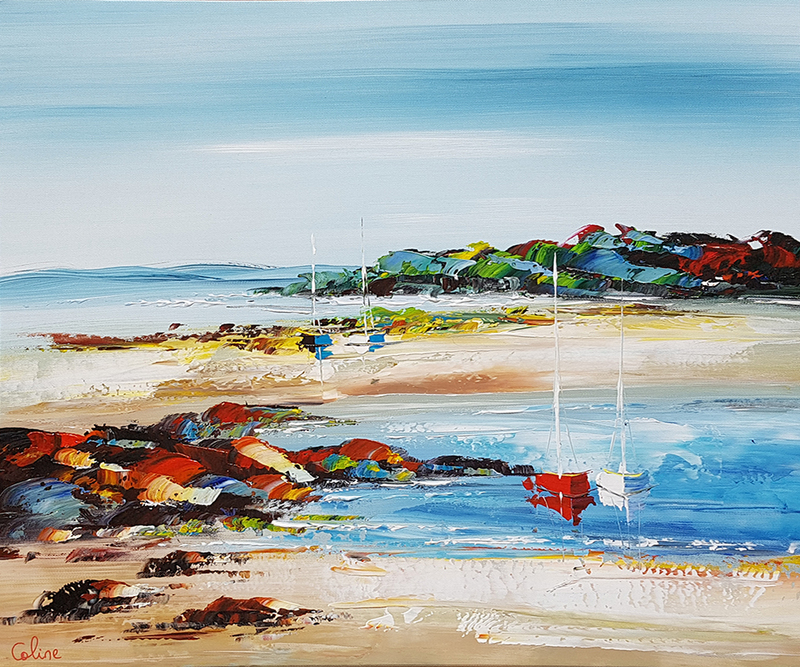 After a five year gap since Gillian McDonald first exhibited her originals here at White Sails we are really pleased to announce the imminent arrival of 4 new paintings. We hope to announce more in the coming weeks but for now check out all of Gillian's Ltd Editions on our website. Thank you for following us. We'll be back in touch soon. 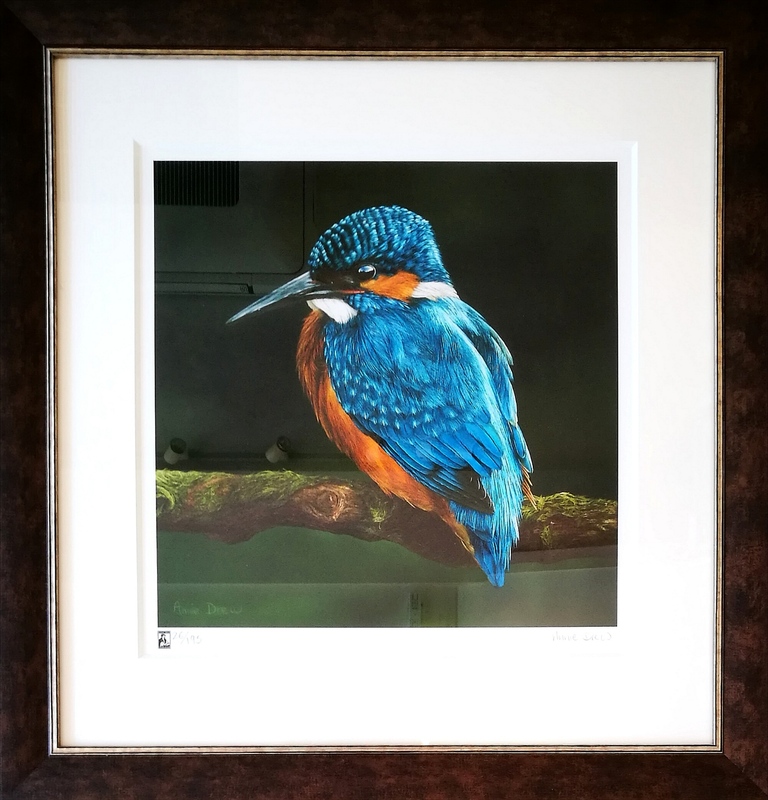 After a busy week of preparations we are very proud to announce the release of Annie's latest breathtaking original, the "Kingfisher", alongside a Ltd Edition run of 195 prints worldwide. Having arrived in the gallery in the last few days, the painting is truly a little gem. 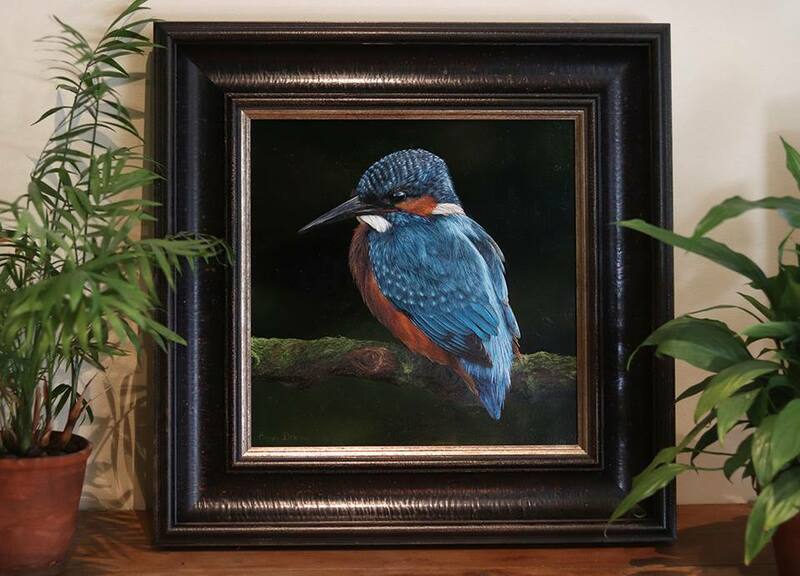 Set within a beautifully dark lacquered Lopez frame, the iridescent colours in the bird's plumage shine out in all their magnificent detail. Painted in oils on board, it measures a relatively petit 35 x 35cm (54 x 54cm in the frame) and is priced, as expected, at £6000. 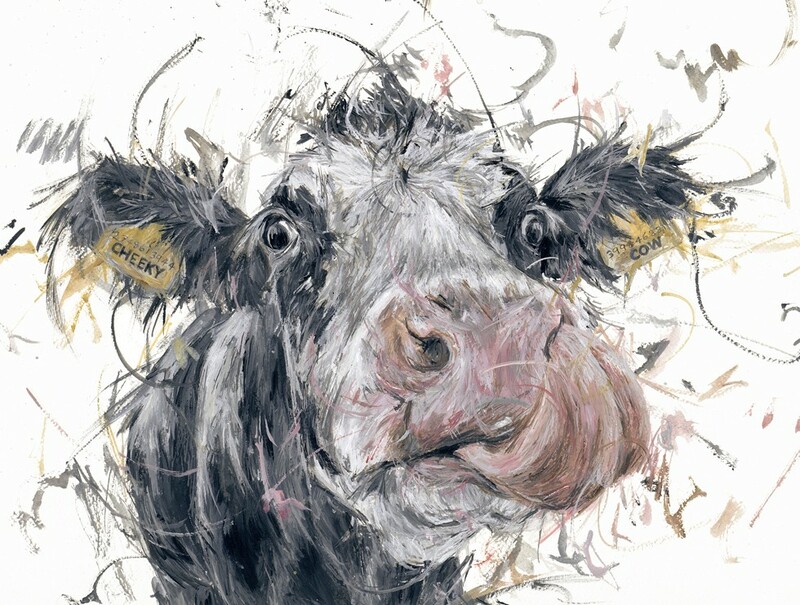 The Limited Edition prints are the same size as the original and are priced at £178 (Mounted) or £155 (Print only). We will also be able to supply them framed and they are already available through our website. 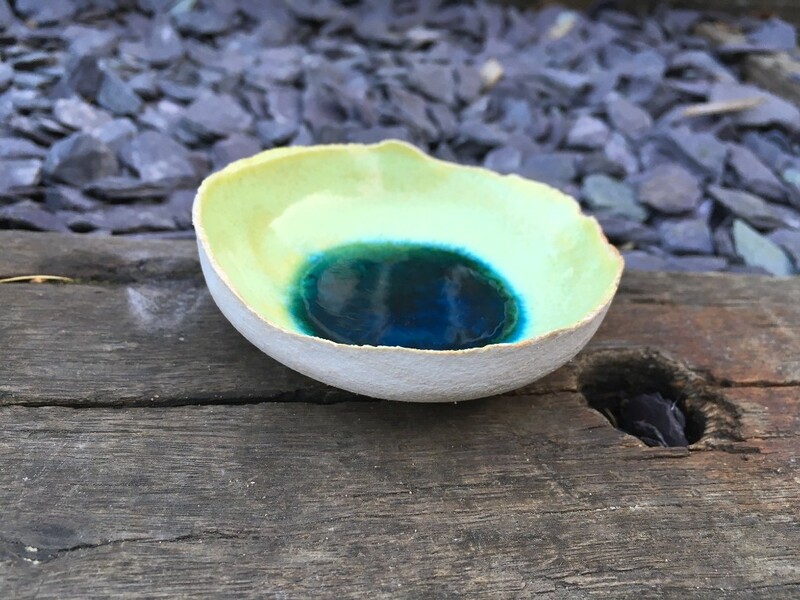 If you would like any further information or wish to discuss a purchase, please contact us here at the gallery or follow the links below to our website.